Major cross streets are Edinger Ave. and Goldenwest Street. 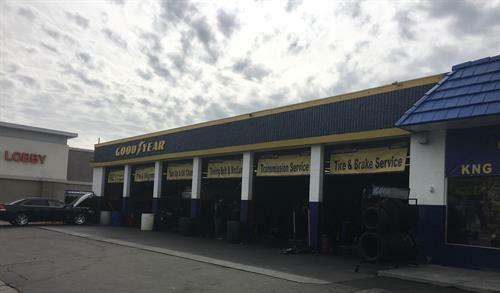 Goodyear is across from Golden West College. KNG Complete Auto Repair, Inc. will provide all automotive repairs, lube and tires. Tires and alignments, check engine light diagnostics, wheel balancing and suspension problems. We also provide Goodyear credit cards. Snap Financing is available for 100 days no interest. Courtesy rides are available and student coupons are welcome.